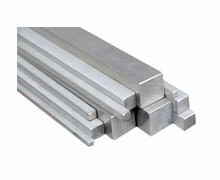 SS 416 Square Bar, SS 416 Bright Square Bars, Stainless Steel 416 Square Bar Manufacturer In Mumbai. SS 416 Square Bar Supplier, Stockist of SS 416 Square Rod In Mumbai, Stainless Steel DIN 1.4005 Bright Square Bar, Stainless Steel 416 Square Bars Exporter, 416 SS Bright Square Rods, Stainless Steel UNS S41600 Square Bar, Stainless Steel 416 Square Rod Manufacturer India. Skytech Metal is a prominent firm offering a wide range of Stainless Steel 416 Square Bars, which has low frictional properties that reduce galling and seizing. 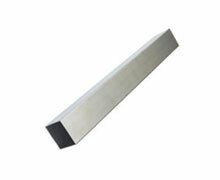 Our SS 416 Square Bars is a free - machining stainless steel with a machinability of 85 %, highest of all stainless steels. These Alloy 416 Square Bars is being characterized by excellent machinability, non - galling and non-seizing properties due to its higher sulfur content which has the effect of lowering its corrosion resistance. Although our Grade 416 Square Bars and other martensitic stainless steels are not as resistant as austenitic or Ferritic stainless, it still demonstrates good corrosion and oxidation resistance plus high strength in the hardened and tempered condition. 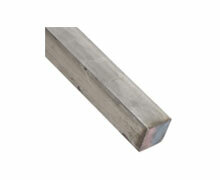 These Type 416 Square Bars is a martensitic free machining grade of stainless that can be hardened by heat treatment to achieve elevated strength and hardness. The addition of manganese - rich sulfides evenly distributed throughout our AISI 416 Square Bars provides a natural lubricant, preventing build up on cutting tools during the machining process. These SUS 416 Square Bars is used for gears, screws, shafts, axles, bolts and any part that requires considerable machining. Our 416 Stainless Steel Square Bars has better machining properties than the austenitic grades, but lower corrosion resistance. Speeds and feed of these Stainless Steel UNS S41600 Square Bars is comparable by means of those of some of the free machining carbon steels. Stainless Steel 416 Bright Square Rod Supplier, 416 Steel Square Rods Stockist, SS 416 Square Rod Exporter In India, SS UNS S41600 Bright Square Rods, SS DIN 1.4005 Square Rods Manufacturer, 416 Stainless Steel Square Rod, SS 416 Square Rods Supplier In Mumbai, India. SS UNS S41600 Square Bar / Rod Exporter in India, Steel UNS S41600 Square Bar Stockist In Mumbai, Stainless Steel 416 Square Rod Stock, SS Square Rod Dealer, ASTM A564 SS 416 Square Rods Supplier In India, Stainless Steel 416 Bright Bar Exporter, ASTM A582 SS Square Bars Supplier, SS DIN 1.4005 Square Rod Supplier, ASTM/ASME A276 Steel Square Bar Stockholder, Stainless Steel 416 Square Rods Manufacturer, SS 416 Square Bar, SS 416 Bright Square Rods Manufacturer, 416 Stainless Steel Square Bar Supplier, 416 SS Square Rod / Bar, ASTM A276 416 Stainless Steel Square Bar Exporter, Stainless Steel 416 Square Bars. Ahvaz, Nagpur, Aberdeen, Melbourne, Mumbai, Surat, Perth, Noida, Busan, Sharjah, Riyadh, Visakhapatnam, Singapore, Howrah, Kuala Lumpur, Ulsan, Atyrau, Chiyoda, Manama, Caracas, Houston, Dammam, Santiago, Brisbane, Petaling Jaya, Abu Dhabi, Pimpri-Chinchwad, Al Jubail, Vung Tau, Chennai, Bhopal, Vadodara, Jaipur, Geoje-si, Pune, Thiruvananthapuram, Montreal, Istanbul, Lagos, New Delhi, Bogota, Haryana, London, Hanoi, Ranchi, La Victoria, Calgary, Ho Chi Minh City, Dallas, Chandigarh, Granada, Faridabad, Doha, Kanpur, Los Angeles, Coimbatore, Bengaluru, Ludhiana, Edmonton, Dubai, Gimhae-si, Kolkata, Algiers, Secunderabad, Ahmedabad, Gurgaon, Courbevoie, Moscow, Hong Kong, Ernakulam, Madrid, Tehran, Jeddah, Cairo, Toronto, Seoul, Mexico City, Jakarta, Bangkok, Baroda, Jamshedpur, Hyderabad, Sydney, Thane, Port-of-Spain, Kuwait City, Al Khobar, Karachi, Lahore, Colombo, Ankara, Indore, Rio de Janeiro, Rajkot, Nashik, Muscat, New York, Milan, Navi Mumbai. Venezuela, Ukraine, Morocco, Bulgaria, Angola, Azerbaijan, India, Turkey, Netherlands, Egypt, Czech Republic, Thailand, Puerto Rico, Argentina, Belgium, United Kingdom, Trinidad & Tobago,Tunisia, Nigeria, Hong Kong, Ghana, Bangladesh, Croatia, Russia, Iraq, Norway, Jordan, Serbia, China, Singapore, Australia, Costa Rica, Kazakhstan, Spain, Qatar, Finland, Bhutan, Bolivia, Chile, Sri Lanka, Romania, Italy, Gambia, Algeria, Lithuania, Saudi Arabia, France, Nepal, Poland, Nigeria, Austria, United Arab Emirates, Kenya, Macau, United States, Gabon, Zimbabwe, Pakistan, Japan, Yemen, Denmark, Israel, Vietnam, Libya, Slovakia, Taiwan, Kuwait, South Korea, Mexico, Mongolia, Switzerland, Bahrain, Lebanon, Iran, Iran, South Africa, New Zealand, Tibet, Canada, Poland, Portugal, Germany, Philippines, Sweden, Hungary, Estonia, Indonesia, Ireland, Greece, Belarus, Peru, Chile, Mexico, Brazil, Oman, Afghanistan, Malaysia, Namibia, Ecuador, Colombia.